​Cumin seeds .......................... 1 tsp. Wash quinoa and wheat fada for 2-3 times. Heat ghee in a pressure cooker adds cumin seeds. When seeds crackle add broken cashew, green chili and ginger paste and mix vegetables. Sauté on a medium flame for 1 minutes, then add washed quinoa and wheat fada. Add salt, water and mix well. Then pressure cook for 4-5 whistles. Take it out from heat and let it cool down before opening pressure cooker. 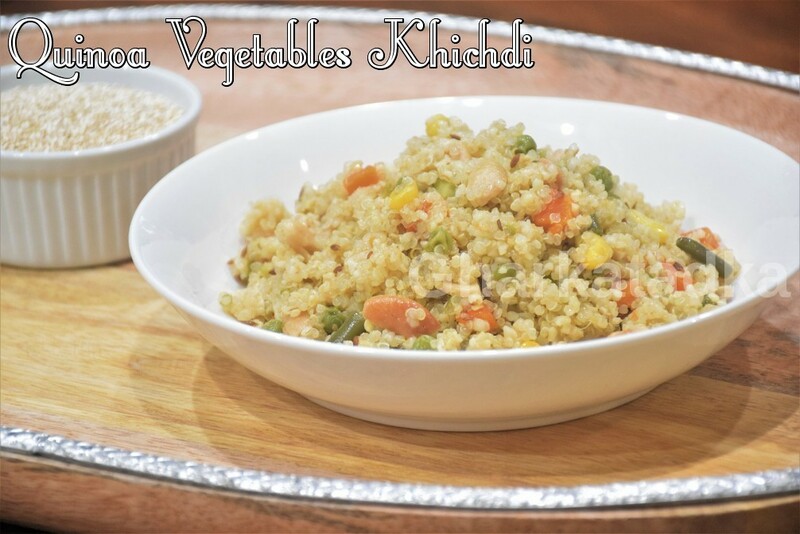 Quinoa dalia khichdi is ready to serve.